Kano Pillars forward and Nigerian International, Junior Lokosa, will on Thursday, November 8, receive the inaugural Eunisell Boot Award, in Lagos. Instituted by leading global chemical and specialty fluid management company, Eunisell, the award celebrates the Highest Goal Scorer in the Nigerian domestic top flight. With the award, Eunisell has created a milestone in Nigerian football. Speaking on the award, Eunisell Group Managing Director, Chika Ikenga said: “Eunisell is passionate about Nigerian football. We believe Nigerian players deserve to be celebrated. “Our objective is to reward those who go beyond the ordinary to excel. We are proud of Junior Lokosa”. Lokosa scored 19 goals to finish as topscorer during the 2017/18 season. The Eunisell Boot, which is the biggest in the domestic league seeks to make players more competitive and boost the profile of the domestic league. 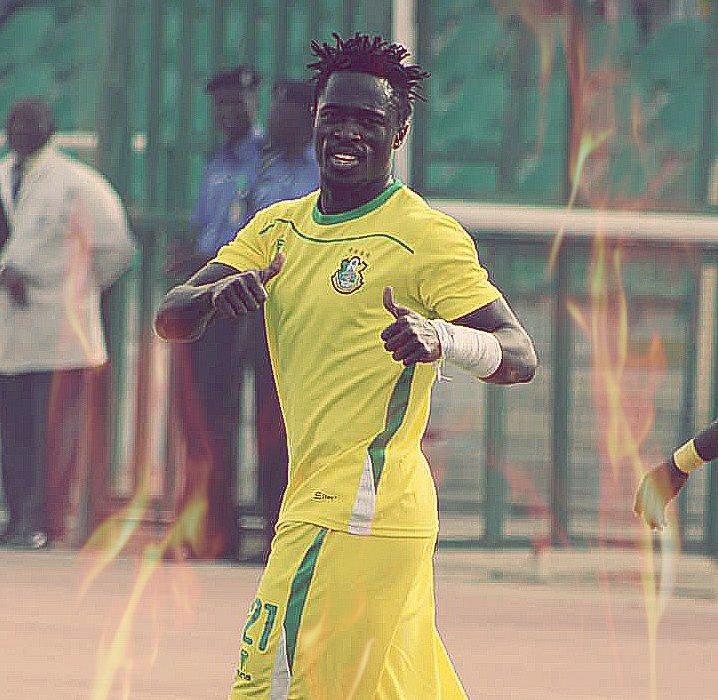 With each goal valued at N200,000 by Eunisell, Lokosa will receive the sum of N3.8million and a special trophy. Lokosa was named in Nigeria’s provisional squad for the Russia 2018 FIFA World Cup by Super Eagles gaffer, Gernot Rohr. He has also been placed on standby in the event of injuries ahead of this month’s Africa Cup of Nations qualifier against South Africa in Johannesburg.